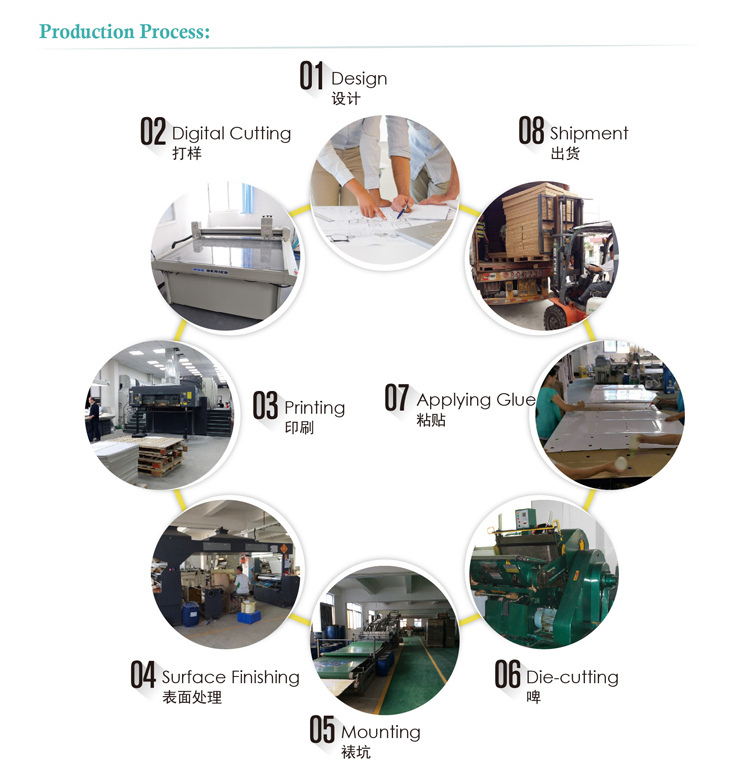 Why choose cardboad display stand? 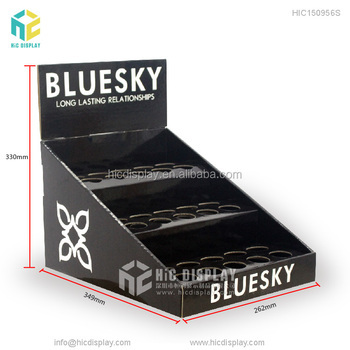 1.Brand promotion and increase sales: cardboard display stand has advertising value. 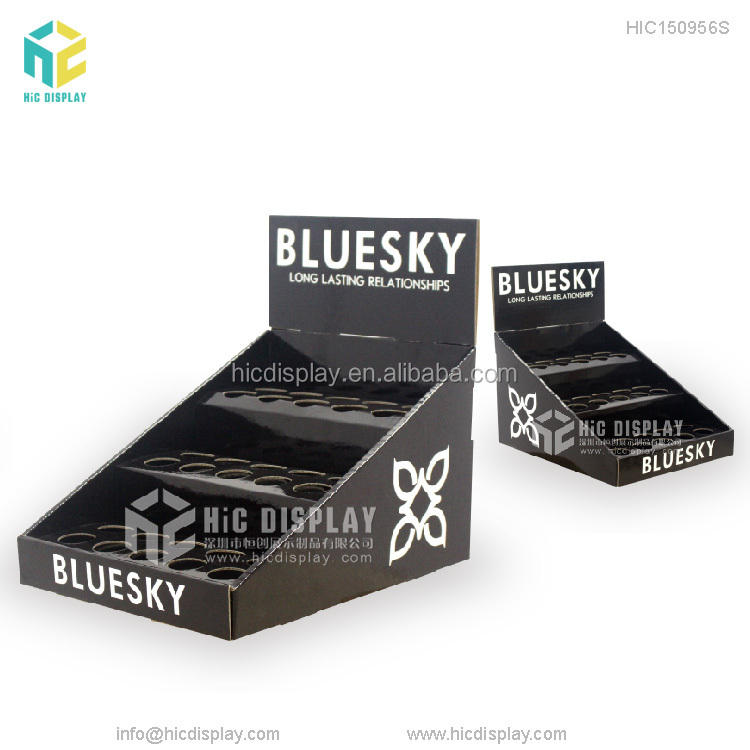 The most intuitive media to convey visual information to the consumer is POP advertising tools - cardboard display shelves.The personalized specification copywriter and slogen will be designed and print in the display shelf's surface. 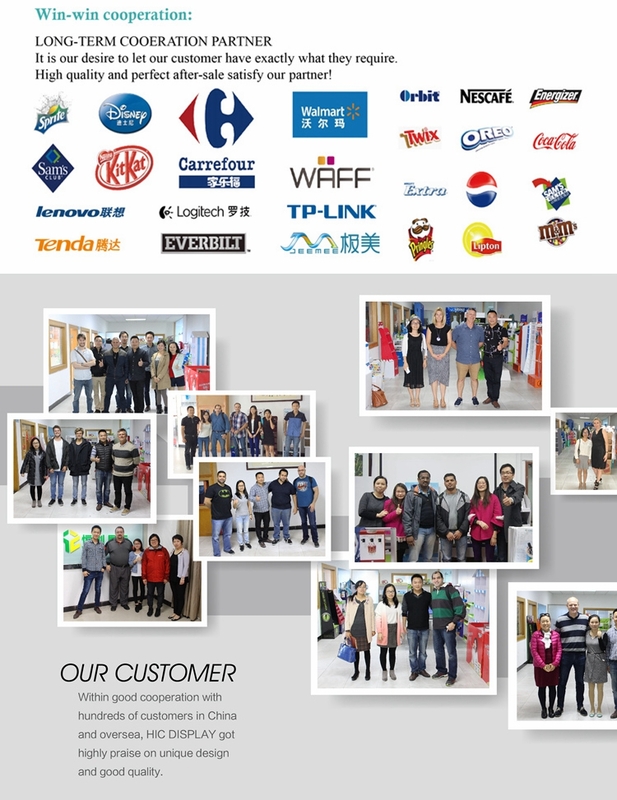 The display not only have a nice appearance, but also highlights the charm of goods to catch customer's eyelignt. That's the POP advertising benefits. 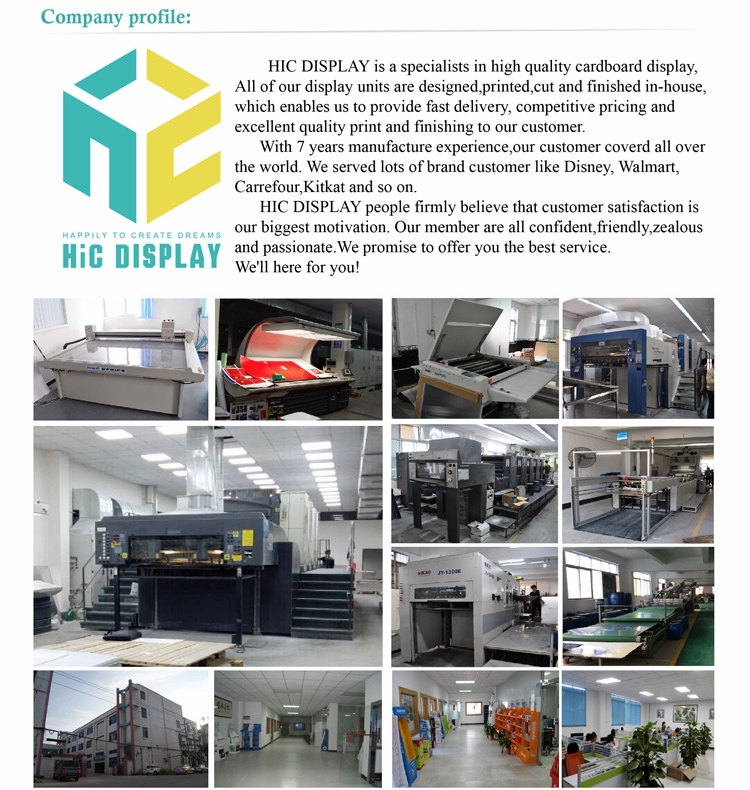 Paper display advertising helps to build up your brand in the terminal, improve your company's impression, and enhance your sales more and more. 2.Weight light: The cardboad display stand is Easy to transport and carry. 3. Environmentally-friendly: It can be 75% recycled material, and 100% recyclable after use. 4. Printable: We print directly onto the cardboad display stand surface with superior quality results. 5. Easy to work with: The cardboad display stand is easy-assembling, saving shipping cost , labor and power. 6. 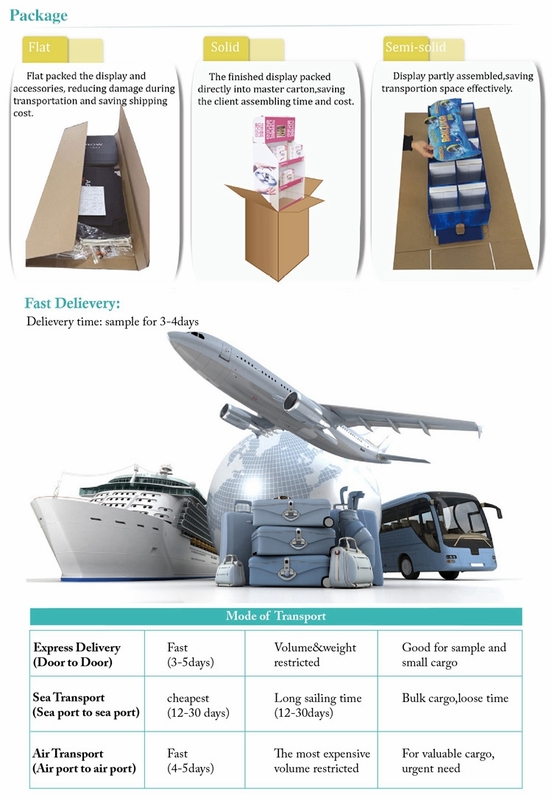 Knocked down packing: The cardboad counter display stand can be knocked down packed to save shipping cost. 7. 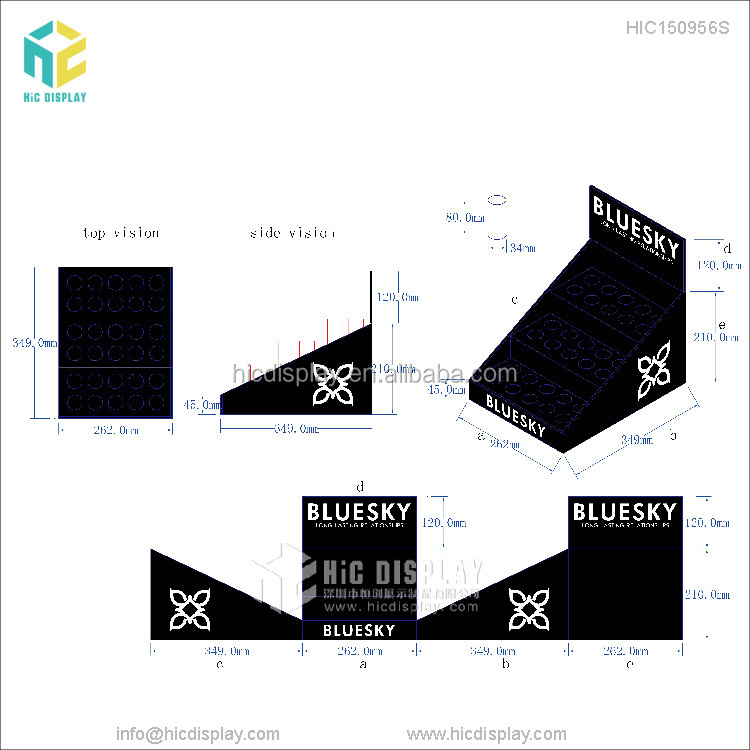 Customizability friendly: The cardboad display stand can be customized in both structure and graphics. 8. Eye catching: The cardboad counter display stand is suitable for goods merchandising and promotion.